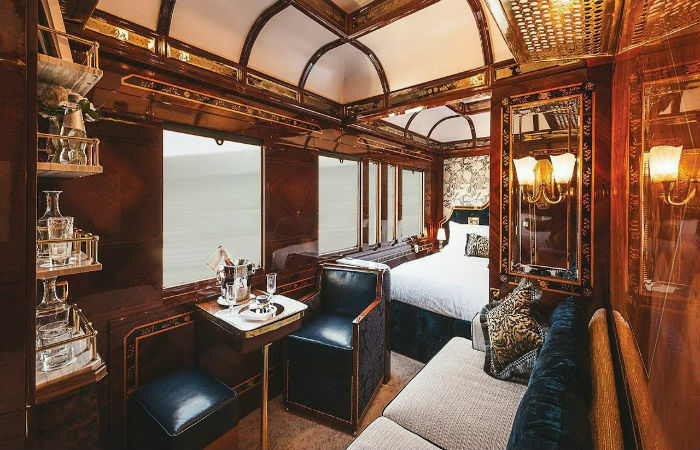 Is it your dream to travel in a luxury train? 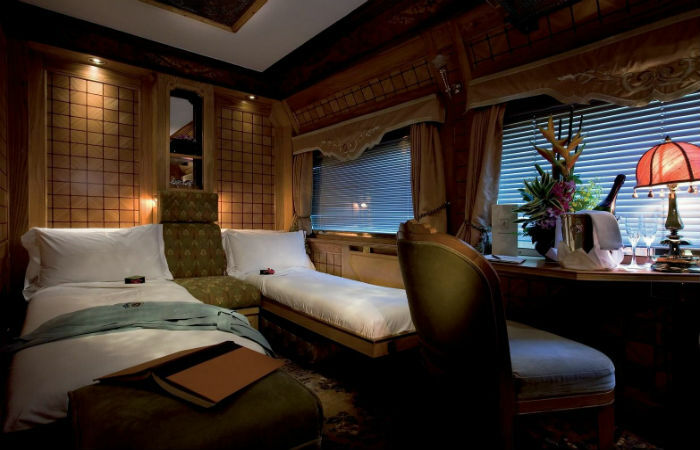 A lavish train which has all the facilities in the world but on wheels. Being a lavish train which is full of the best five-star facilities but with moving picturesque scenes, allows you to enjoy the best of both the worlds – glancing at the views from a train while enjoying all the facilities of an expensive hotel. 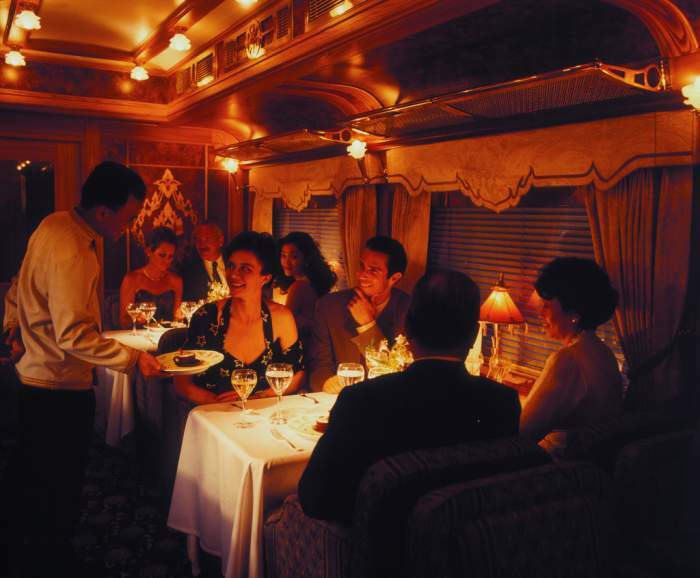 Luxury trains lead a magnificent route and this keeps the passengers from getting bored. Inside the train will take you to the world of Titanic, but on the wheels! Amazing? The grandiosity and magnificence seem from another world entirely. 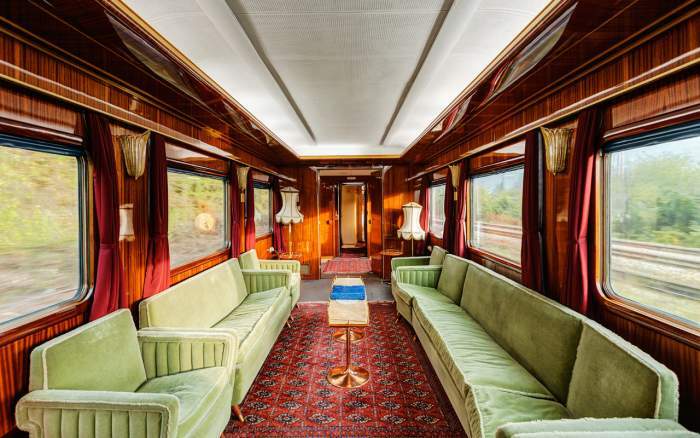 If you love the train trip, get ready to travel in the luxurious Eastern Oriental Express. 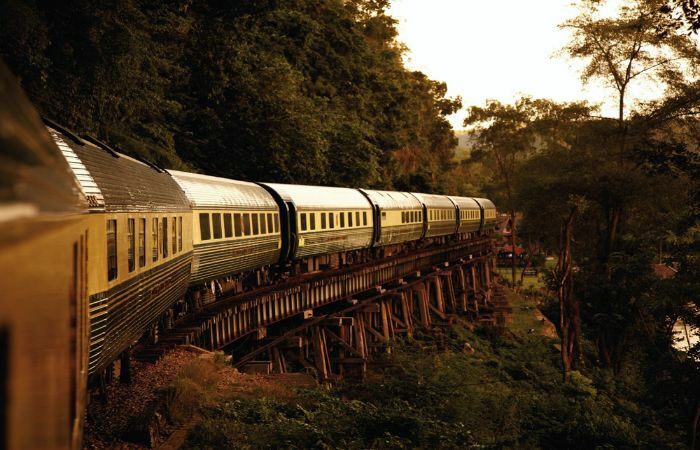 In the Eastern Oriental Express, you will experience scenic views of the magical landscapes of three countries – Malaysia, Singapore, Thailand, and Laos too. Travelers here should be part of a Bygone colonial era, which was recognized by a spectacular environment in a world that has forgotten about it. To make it more attractive, trains also include Eastern themes and motifs. 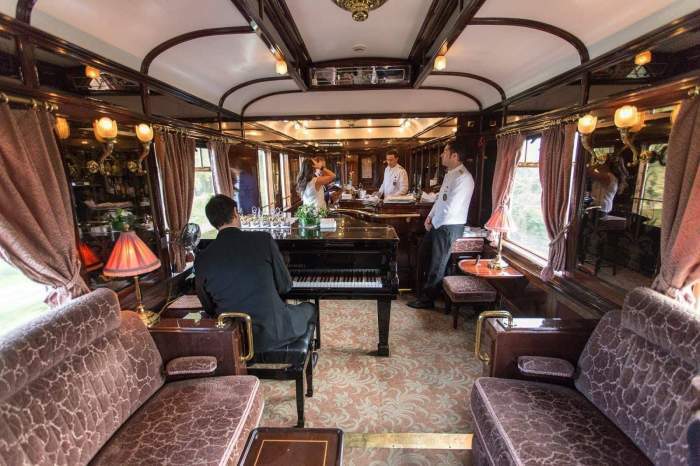 The magical brightness of the Eastern Oriental Express train, with all of its elegant lounges, comfortable suites and panoramic windows mingled with savory cuisine and supported by friendly hospitality make this adventure through the heart of Asia! Every journey begins with the attendants waiting to welcome you onboard and which is surely an unforgettable memory. 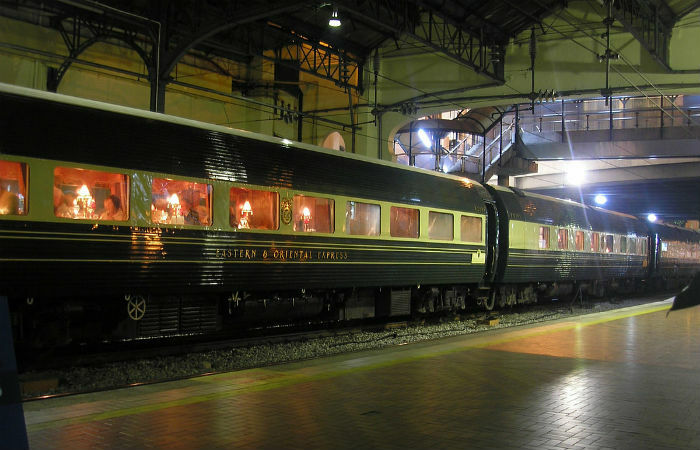 The Eastern Oriental Express Train is a full luxury train that takes travelers between Malaysia, Thailand, and Singapore. Belmont Ltd. is its operator. Eastern Oriental Express track runs from Woodland Train checkpoint in Singapore to Lamphong in Bangkok before stopping in Kuala Lumpur, Kanchanaburi, and Butterworth where it takes three days, and two nights. 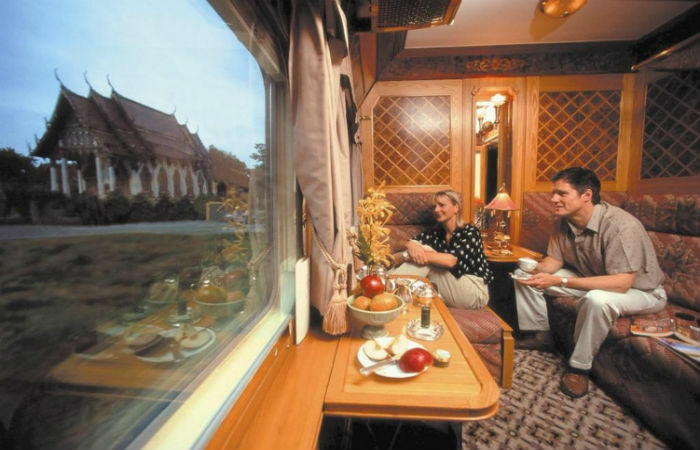 There are many types of tours, of which one can be a part of traveling – the train travels from Malaysia to the Strait of Johor, and then goes to the Malay Peninsula through lush palm gardens before staying at the Kuala Lumpur station. In Penang, you will be able to find colorful shophouses and mosques in Georgetown. The train then goes through southern Thailand, passing small villages and amazing hilltop temples with all the jungles surrounding it. It’s a beautiful atmosphere to be in. Laos’s Capital, with all its beautiful temples alongside the French colonial architecture, the glittering city of Singapore and the stunning markets of Bangkok will all be opened for you to witness. In most of the months, the train runs several times throughout the year. It is the least expensive cabin that includes a sofa and a folded table. There is also a small bathroom connected to a bedroom. There are electrical sockets which will let you charge your electronics. 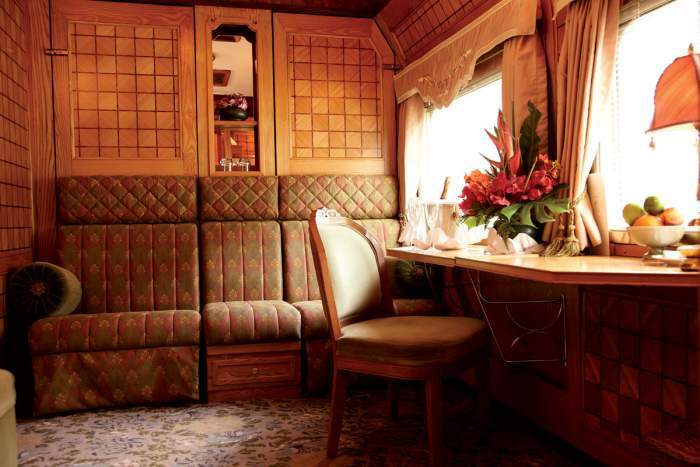 Staterooms have double the space of a sleeping car along with a sofa, freestanding chair, and an Armchair. There is also an en-suite bathroom including a shower, washbasin, and toilet. Along with this, there are also room sockets similar to a Pullman. There are two presidential Suites and they have a sofa, table, and chair during the day, which gets transformed into two lower beds by night. Also, there’s a washroom will all the facilities like the above two. 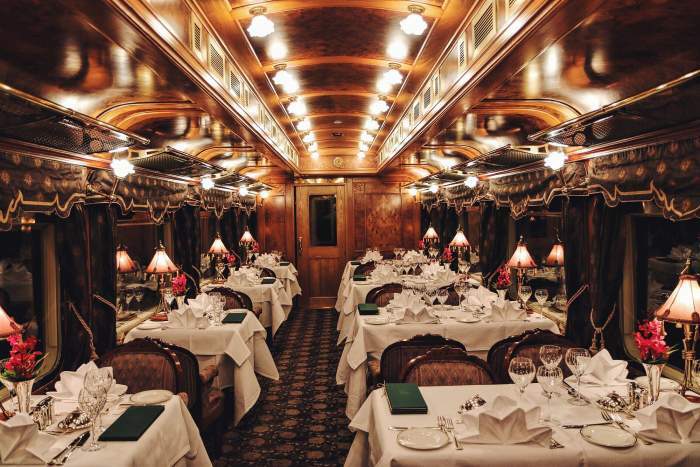 There are three dining cars and two are sitting arrangements for both lunch and dinner – at 12:00 or 14:00 for lunch and 18:00 or 21:00 for dinner. But time can differ. Food is part of the fare but the drink is considered extra. Every time you share a table with different people, it also becomes a sociable experience. Breakfast is served in your compartments itself. At the end of the train, there is an observation lounge car. It is an open-air deck from which you can see the tracks passing by. This is an excellent place for photography. Coffee and other nibbles will be supplied to you here. Smokers can also puff here. 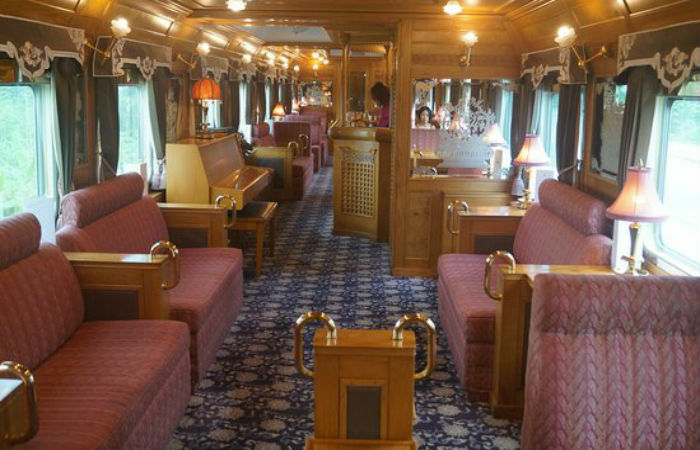 It is located in the center of the train and it is also the place of social gathering. Cocktails, songs, and conversations flow in abundance. Saloon Car comes with a boutique and a reading room. It has a private dining room, albeit small along with a small gift shop which sells souvenirs. There is also a small reading room where you can enter into the beautiful world of reading, especially if you’re a bookworm. Previous articleHit Hong Kong When Opting Best Budget Travel Destinations!